A renegade general said he was weighing launching his new rebel force into South Sudan’s civil war, and called for President Salva Kiir to go, accusing him of spearheading ethnic violence that rights groups fear is slipping toward genocide. Thomas Cirillo Swaka, known as Cirillo, resigned as deputy chief of staff of South Sudan’s military in February, citing rights abuses in a war that has split the world’s youngest nation, often along ethnic lines, since 2013. Since then, the army’s most high-profile defector said he has put together a force of several thousand fighters, but declined to identify their exact plans or locations. The scarred guerrilla veteran said that before he quit he had seen evidence of a government programme to recruit fighters and procure arms for militias from Kiir’s Dinka ethnic group that included secret orders for weapons bypassing military supply lines. The assertions from Cirillo, a member of the smaller Bari ethnic group, were dismissed by the presidency. “It is very unfortunate that Cirillo is getting out of his mind. This is completely rubbish,” said presidential spokesman Ateny Wek Ateny. Reuters was unable to verify Cirillo’s accusations independently. But if true, they reinforce rights groups’ assertions that the government is using ethnic militias, accusations that the government has strongly denied. A senior U.N. rights official said in December parts of the conflict involved ethnic cleansing. 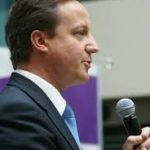 Last month, Britain said some of the violence in the oil-producing state amounted to genocide. “Salva Kiir must go and there should be a change,” Cirillo told Reuters from a hotel in Addis Ababa, capital of South Sudan’s neighbor Ethiopia, where he said he was living in exile while trying to unite the disparate rebel forces. “If Salva Kiir … tries to close all doors to peaceful solution … (the National Salvation Front) will have no other option to defend the people of South Sudan and to protect itself,” he added, referring to his rebel force. He said his fighters were “friendly” with the country’s biggest rebel force, known as the SPLA-In Opposition – which confirmed it sees Cirillo as an ally. The war started in December 2013 after Kiir sacked his deputy and long-term rival Riek Machar, a member of the Nuer ethnic group. 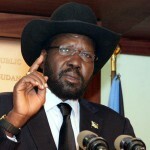 Forces loyal to Kiir clashed with Nuer in the capital, triggering retaliatory attacks across the impoverished nation. The surge of violence just over two years after South Sudan seceded from Sudan has fueled Africa’s biggest cross-border refugee crisis since the 1994 Rwandan genocide. It has also plunged districts into famine, nearly halved oil production and threatened to destabilize a volatile region. Cirillo said he had largely been sidelined with little power during the period when the worst abuses by government troops took place. Reuters could not verify that assertion, though Cirillo has not been named in any U.N. reports on rights abuses. He said he quit partly because the president and army chief set up a system to recruit militia fighters, bypassing official military channels – a statement dismissed by the presidency. 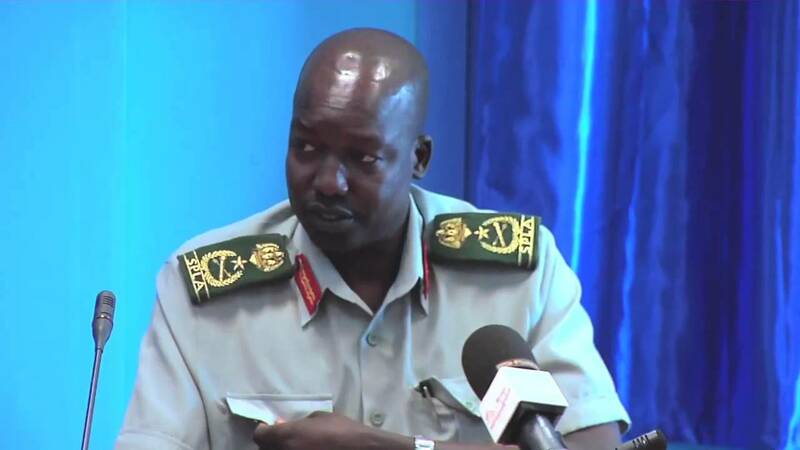 “The president does not seek parallel recruitment,” said Ateny. Cirillo said the programme was organized out of Kiir’s ranch outside the capital, Juba, in Luri – an area described as a “marshalling point and training area for Dinka militia” in a 2016 U.N. Panel of Experts report on South Sudan. Cirillo said Kiir and army chief Paul Malong, another Dinka, held meetings at their homes, rather than at the ministry or military headquarters, excluding military officers of other ethnic backgrounds. 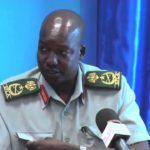 The two also circumvented normal military channels when they recruited thousands of youths from their home region of Bahr el Ghazal, Cirillo said. “They train them there and bring them to Juba,” he said. A military spokesman referred Reuters queries to the presidential spokesman. Cirillo, who has an eight-inch scar on his head from a landmine blast, fought during South Sudan’s long wars with the Khartoum government and was head of army training and research from 2010 until February 2016, when he became head of logistics. Cirillo said that less than a week after signing an internationally backed peace deal with Machar in August 2015, Kiir called 60 top generals, including Cirillo, to his palace and ordered them not to withdraw from the capital as the deal stipulated. “The president came and told us that he is not going to implement the agreement and told us in an open way that you have to hide guns,” Cirillo said. Machar returned to Juba in April last year, but was forced to flee in August after fighting between his forces and Kiir’s broke out in the capital. South African authorities are holding Machar under de facto house arrest after he sought medical treatment there in October. Alan Boswell, author of an upcoming report on South Sudan for the Geneva-based Small Arms Survey, which monitors small arms and armed violence, said Cirillo had support in his native Equatoria region that surrounds Juba and borders Uganda and Democratic Republic of Congo. “If Cirillo manages to secure an arms supply, the effect would be immediate and drastic, as the rebellion is currently extremely under-resourced,” said Boswell.